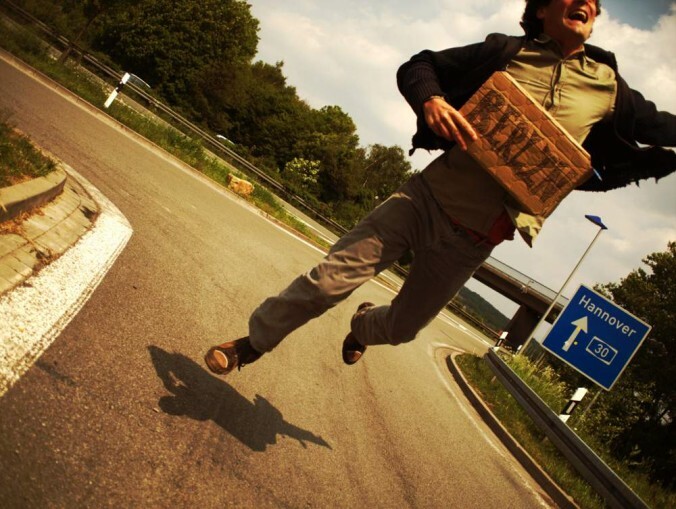 This photo above is of me hitching to Berlin in 2010, taken somewhere along the German highway. I was hitching to Berlin to help organising the third edition of the European Hitchgathering. I am republishing it for a photo-challenge of The Hitchhikers Handbook, a website that’s been around for a year now. Actually, I have taken quite a few hitchhiking photos of people who I’ve hitched with. I made a gallery of some of these hitchhiking photos I made, which even were part of an exhibition, but unfortunately it isn’t available on its old location. I’ll promise to republish these photos soon here on my blog. For now there is only my hitchhiking set on my Flickr account, dating from 2008 already.